Why are there so many translations? 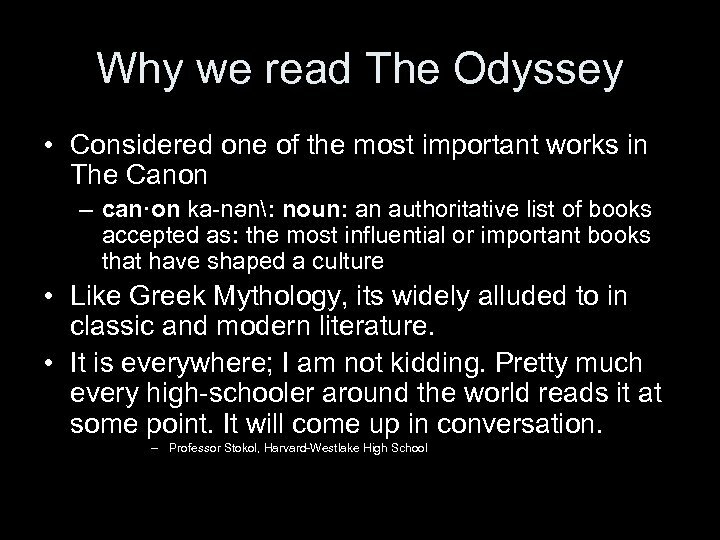 • The Odyssey is three thousand years old! • Numerous translations exist. 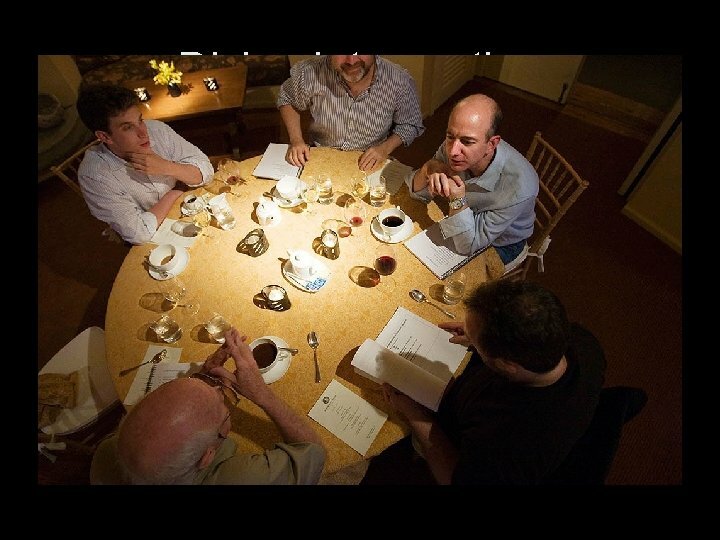 Each focus on different aspects of the story. Some focus on the poetry, some on the prose, others on the imagery. 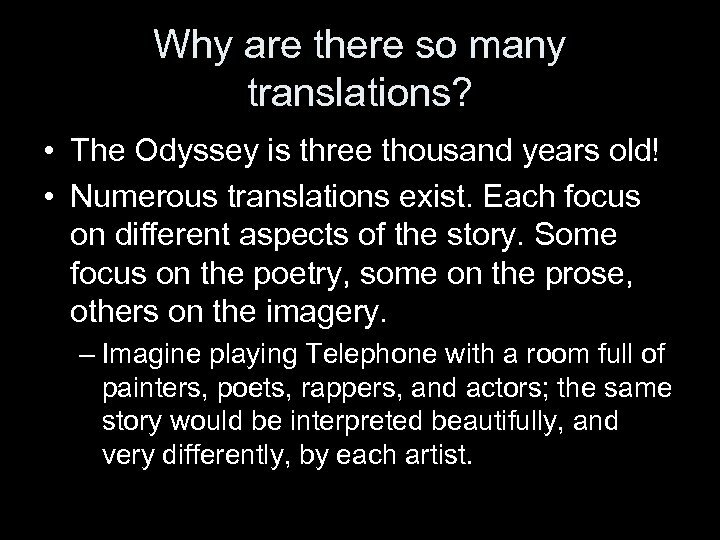 – Imagine playing Telephone with a room full of painters, poets, rappers, and actors; the same story would be interpreted beautifully, and very differently, by each artist. 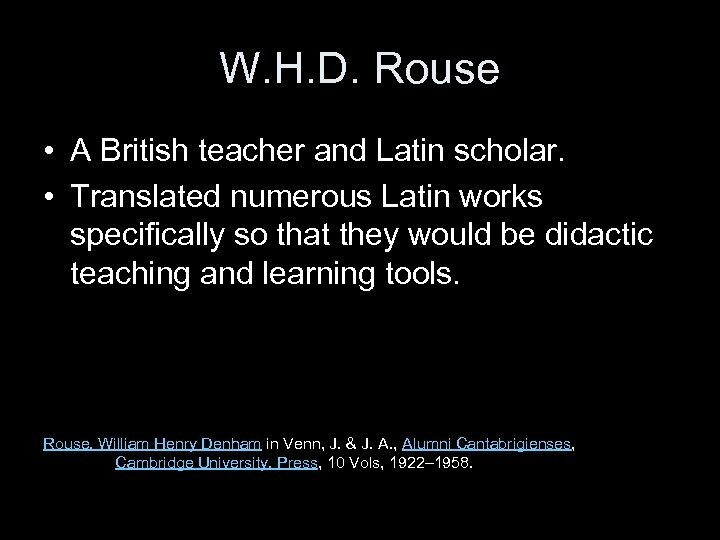 W. H. D. Rouse • A British teacher and Latin scholar. 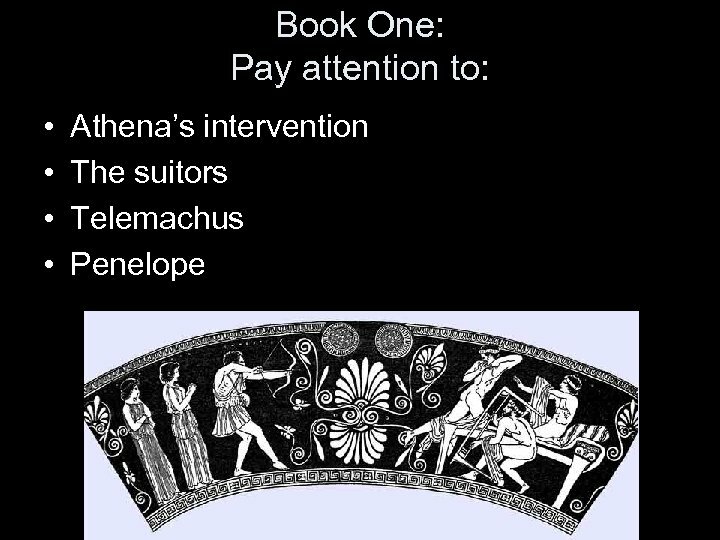 • Translated numerous Latin works specifically so that they would be didactic teaching and learning tools. Rouse, William Henry Denham in Venn, J. & J. A. , Alumni Cantabrigienses, Cambridge University. Press, 10 Vols, 1922– 1958. 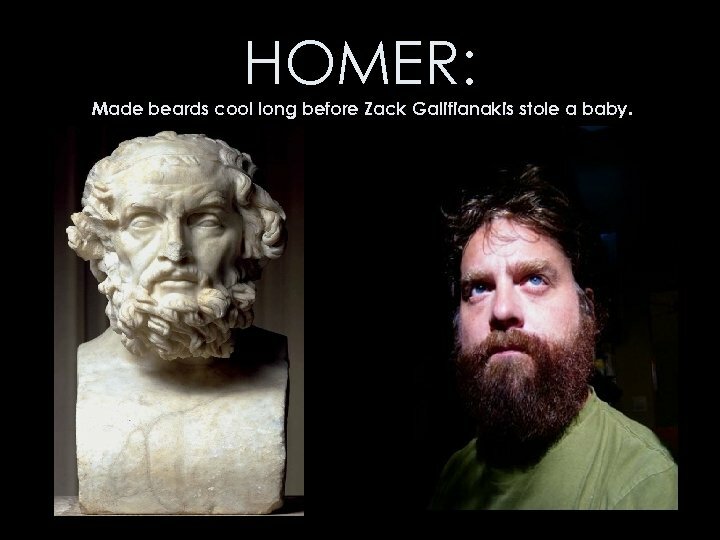 HOMER: Made beards cool long before Zack Galifianakis stole a baby. 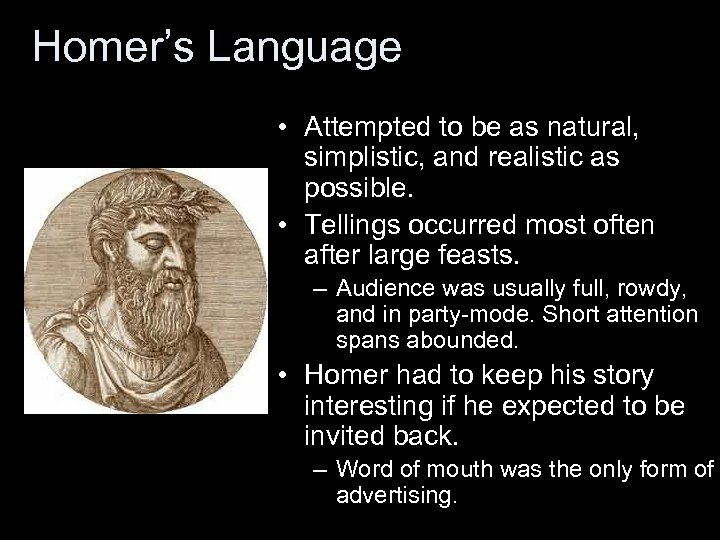 Homer’s Language • Attempted to be as natural, simplistic, and realistic as possible. • Tellings occurred most often after large feasts. – Audience was usually full, rowdy, and in party-mode. Short attention spans abounded. 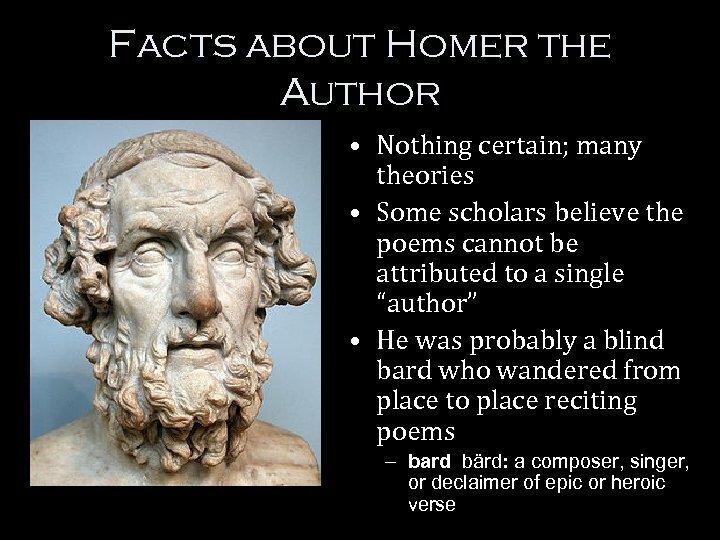 • Homer had to keep his story interesting if he expected to be invited back. – Word of mouth was the only form of advertising. 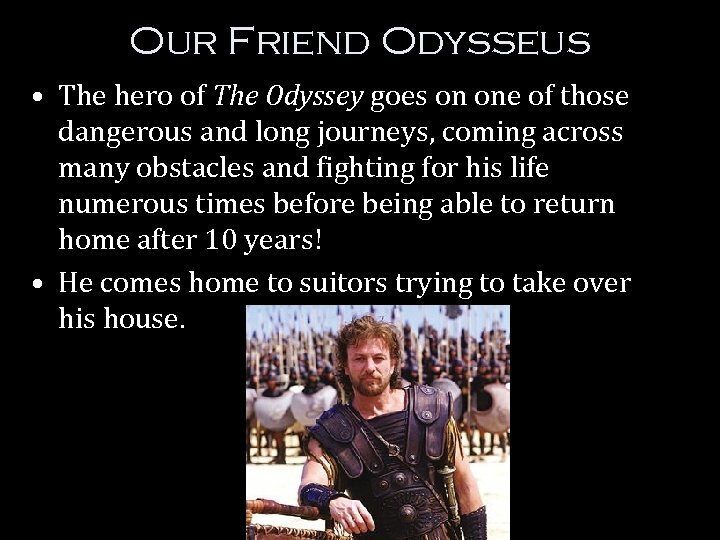 Our Friend Odysseus • The hero of The Odyssey goes on one of those dangerous and long journeys, coming across many obstacles and fighting for his life numerous times before being able to return home after 10 years! • He comes home to suitors trying to take over his house. 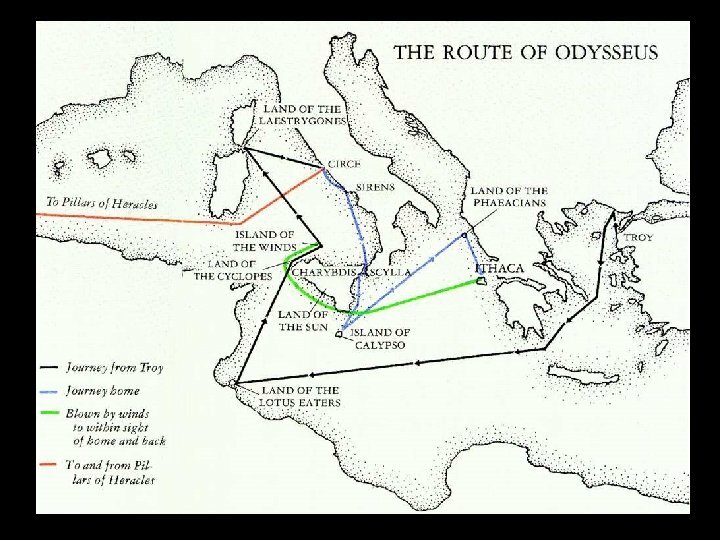 The Heroism of Odysseus • The Odyssey is about Odysseus’ adventures in Ithaca on his way home from Troy. • He departed from Troy with a fleet of 12 ships carrying 720 men. 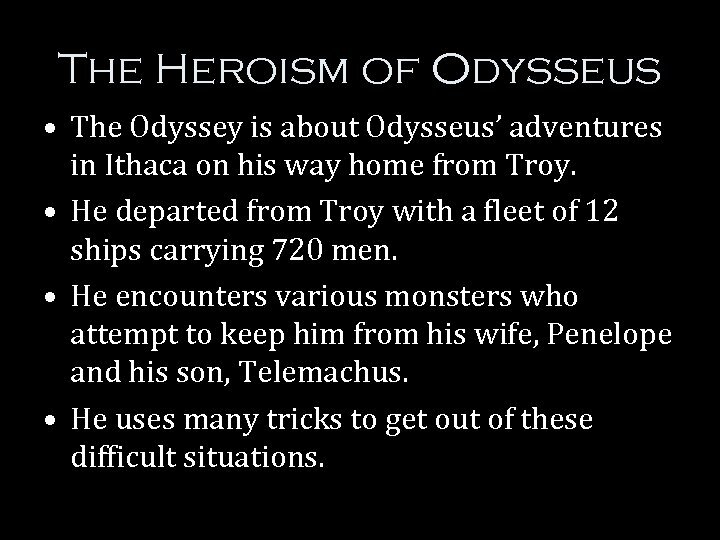 • He encounters various monsters who attempt to keep him from his wife, Penelope and his son, Telemachus. 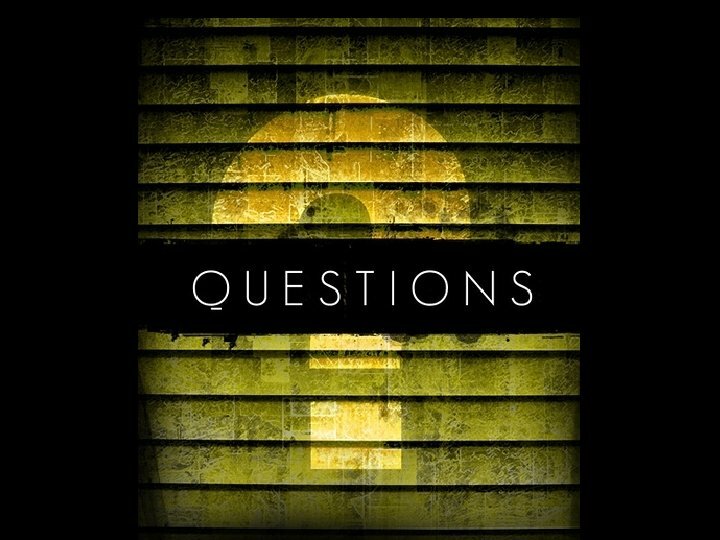 • He uses many tricks to get out of these difficult situations. 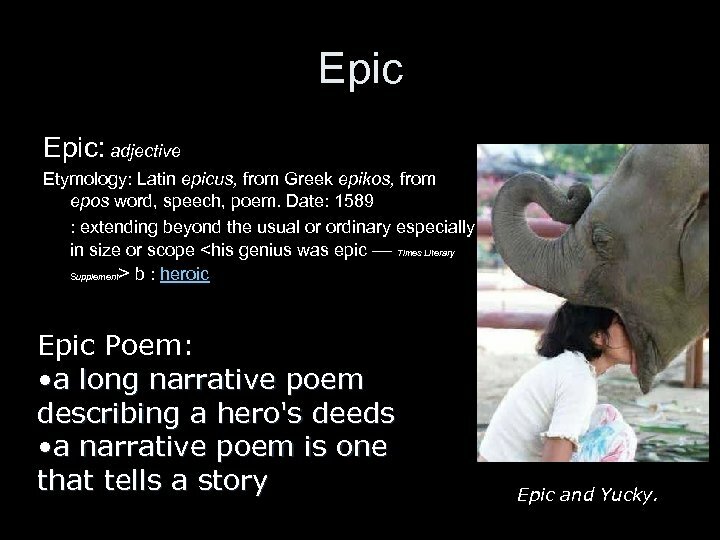 Epic: adjective Etymology: Latin epicus, from Greek epikos, from epos word, speech, poem. 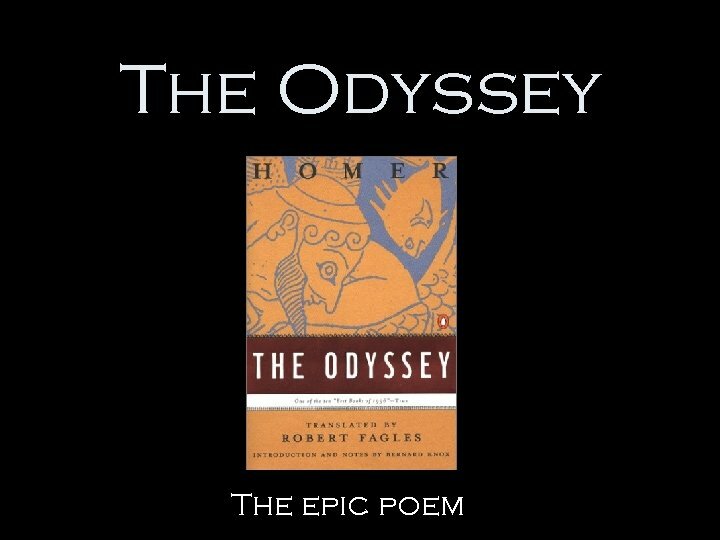 Date: 1589 : extending beyond the usual or ordinary especially in size or scope b : heroic Epic Poem: • a long narrative poem describing a hero's deeds • a narrative poem is one that tells a story Epic and Yucky. 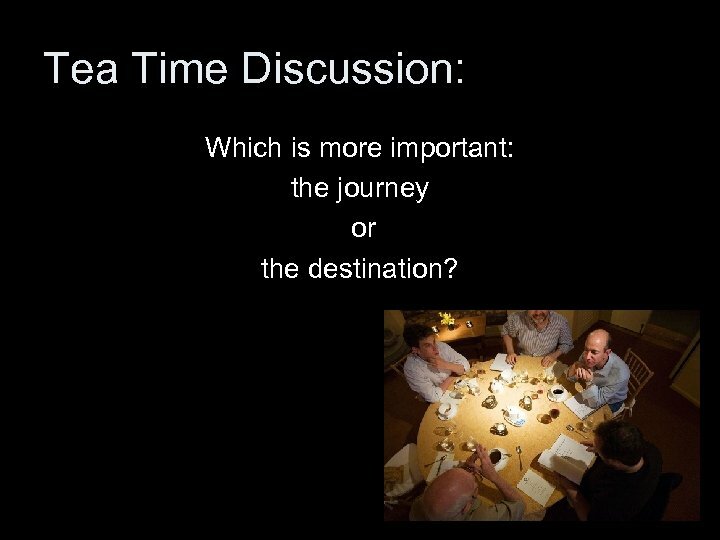 Tea Time Discussion: Which is more important: the journey or the destination? 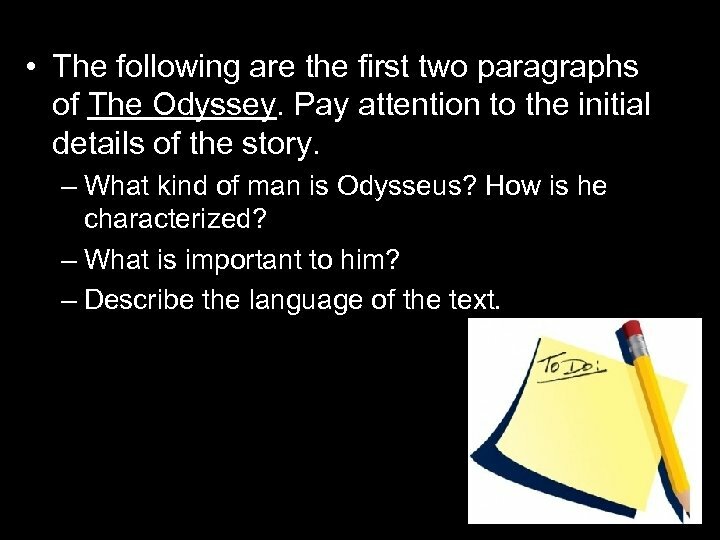 • The following are the first two paragraphs of The Odyssey. Pay attention to the initial details of the story. 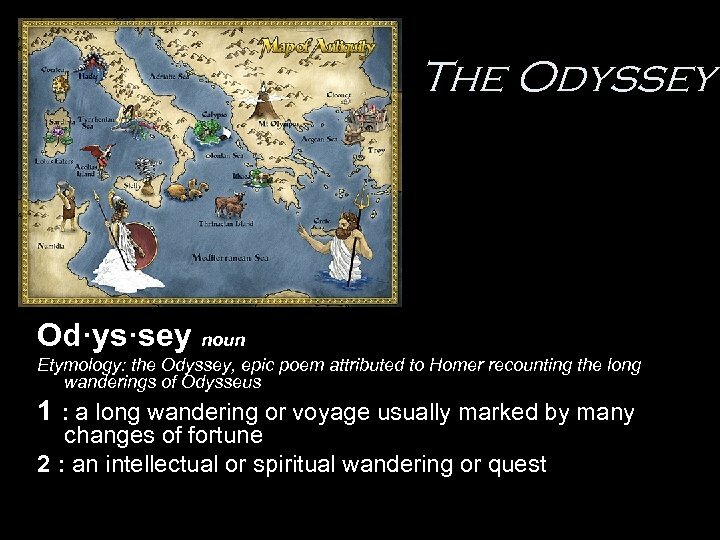 – What kind of man is Odysseus? How is he characterized? – What is important to him? – Describe the language of the text. 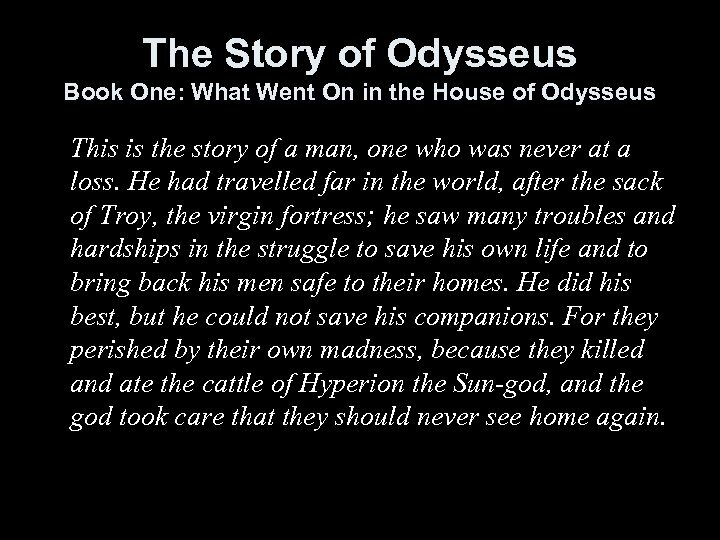 The Story of Odysseus Book One: What Went On in the House of Odysseus This is the story of a man, one who was never at a loss. 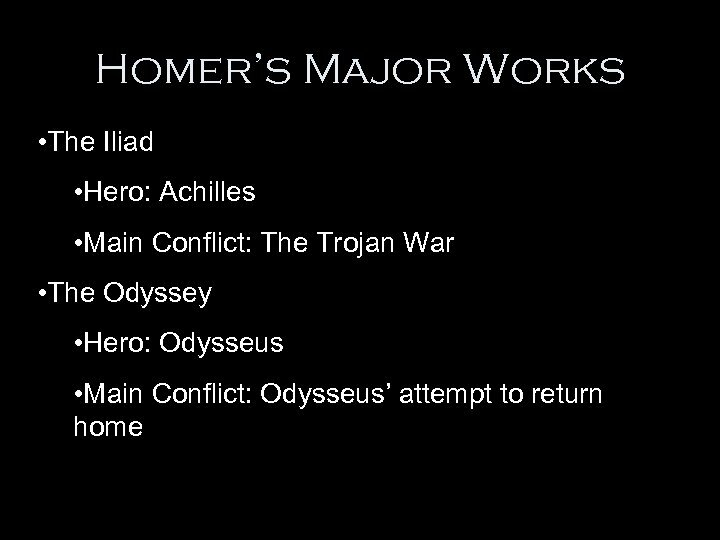 He had travelled far in the world, after the sack of Troy, the virgin fortress; he saw many troubles and hardships in the struggle to save his own life and to bring back his men safe to their homes. He did his best, but he could not save his companions. 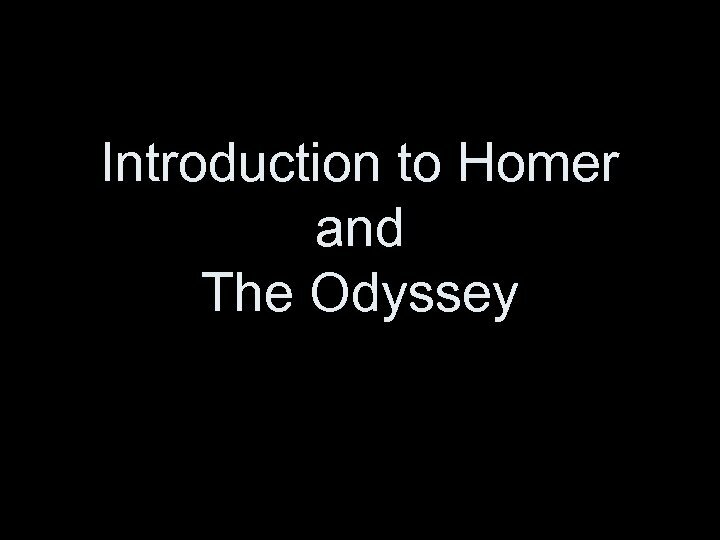 For they perished by their own madness, because they killed and ate the cattle of Hyperion the Sun-god, and the god took care that they should never see home again. At the time when I begin, all the others who had not been killed in the war were at home, safe from the perils of battle and sea: but he was alone, longing to get home to his wife. He was kept prisoner by a witch, Calypso, a radiant creature, and herself one of the great family of gods, who wanted him to stay in her cave and be her husband. Well then, the seasons went rolling by, and when the year came, in which by the thread that fate spins for every man he was to return home to Ithaca, he had not yet got free of his troubles and come back to his own people. 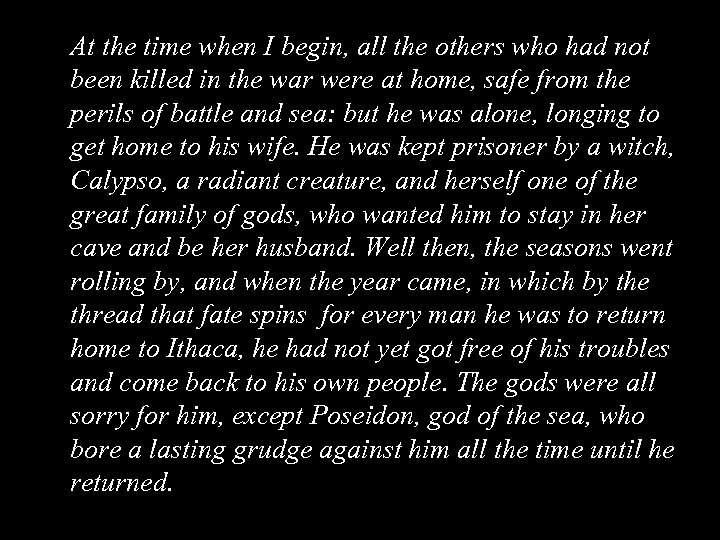 The gods were all sorry for him, except Poseidon, god of the sea, who bore a lasting grudge against him all the time until he returned. What did you notice? 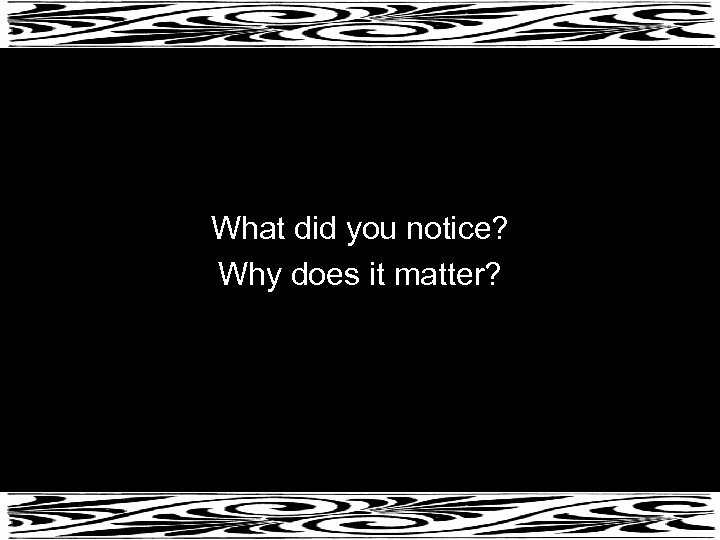 Why does it matter?